Sarah Crichton Books, 9780374286651, 208pp. From the award-winning author Lynn Freed, who’s been called a “literary star” by The New York Times Book Review, comes a hilarious and brilliant new novel about the riotous, passion-filled adventures of three women who thought they were past their prime. To escape their griping grown children, husbands and lovers, and an abundance of grandchildren underfoot, three self-proclaimed “old bags,” Dania, Ruth, and Bess, head for a quiet island on the Aegean Sea. They’ll spend a year by the water—watching the sunset, eating grilled fish and fresh olives, sipping ouzo. They deserve it, they say. After all those years, the three women will finally have some peace. Except that they can’t. For one, Bess, a pampered, once-beautiful inheritress, falls swiftly into an affair with a poetry-writing taxi driver—who has, of course, a territorial wife. And Dania, a therapist, begins to receive an increasing number of cryptically menacing phone calls from a psychotic patient. An ex-lover of Ruth’s shows up unexpectedly, right before one of Bess’s does—and then the women’s children arrive, with their own demanding children in tow. As the island quickly becomes crowded, the women’s serene year in Greece devolves perilously, and uproariously, into something much more complicated. With the wit of Maria Semple’s Today Will Be Different and all the adventure of Deborah Moggach’s The Best Exotic Marigold Hotel, Lynn Freed’s The Last Laugh is at once wildly funny and deeply perceptive, an exuberant story of friendship and pleasure, family and love. 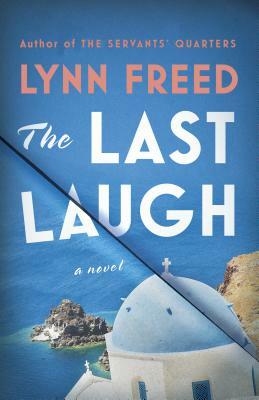 Lynn Freed is the author of numerous short stories, essays, and novels, including The Last Laugh and Home Ground. Her short fiction and essays have appeared in The New Yorker, Harper's, The Atlantic Monthly, among many others. She is the recipient of the inaugural Katherine Anne Porter Award from the American Academy of Arts and Letters, two PEN/O. Henry Awards, and has received fellowships and grants from the National Endowment for the Arts and The Guggenheim Foundation, among others.